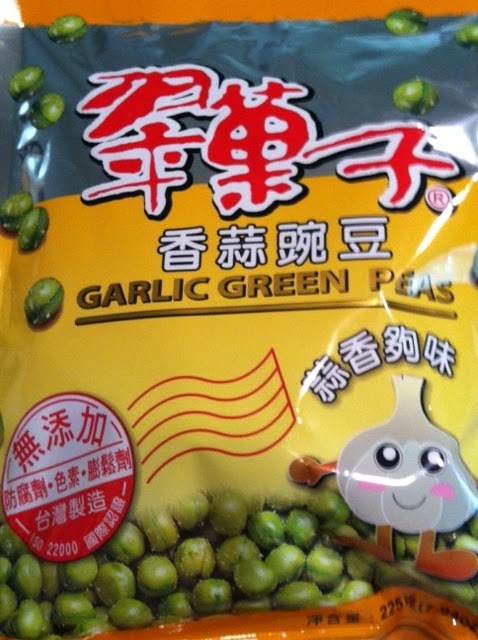 The Helpful Home: Garlic peas, Wasabi peas-a tasty snack! Love this snack...garlic peas! Yummy, wrapped in small size packages, and even the kids love it! Wish I knew the brand name, but I can't read the writing, so look for the packaging. I've found them at CVS, Don Quijote and Marukai. Easy to carry in pocket, purse, or for school snacks. Also comes in wasabi green peas flavor.